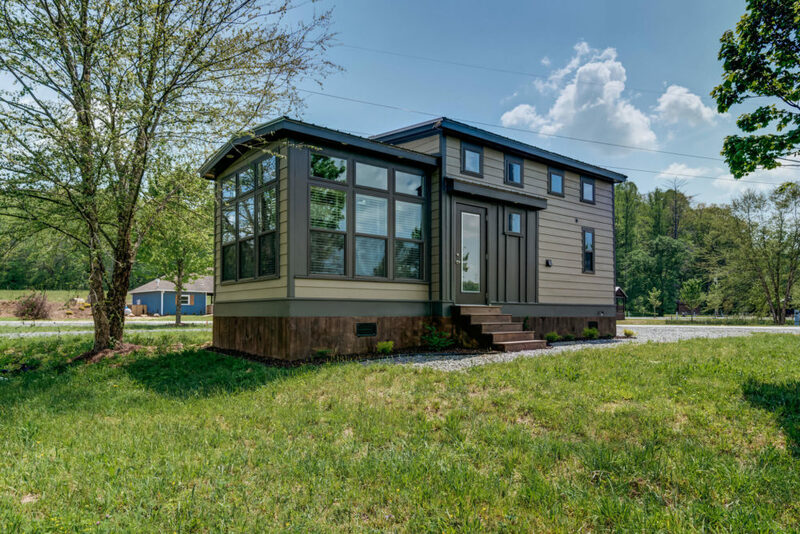 Our Tiny Home Rentals are fully stocked, just pack your bag! 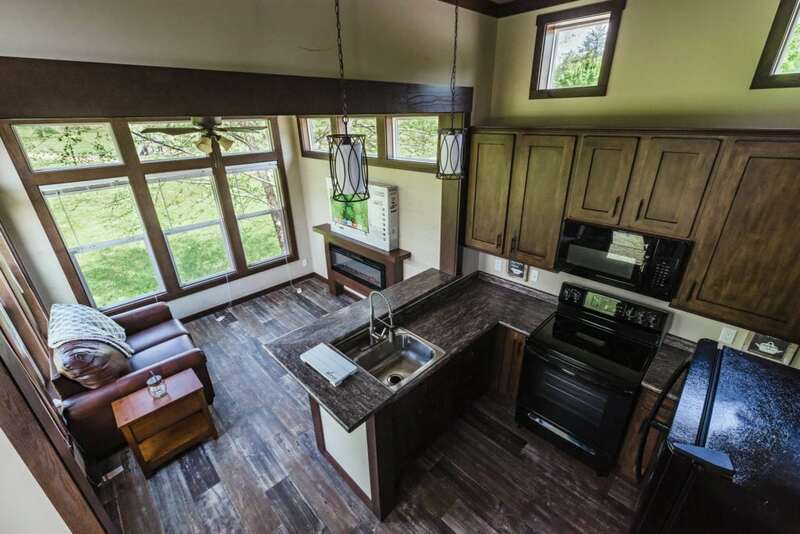 Enjoy all the amenities of the park, plus your own private outdoor fireplace and private hot tub. Full hook ups are available including cable and Wi-Fi. Don’t forget your fishing poles! My husband and I loved the tiny home we stayed in! 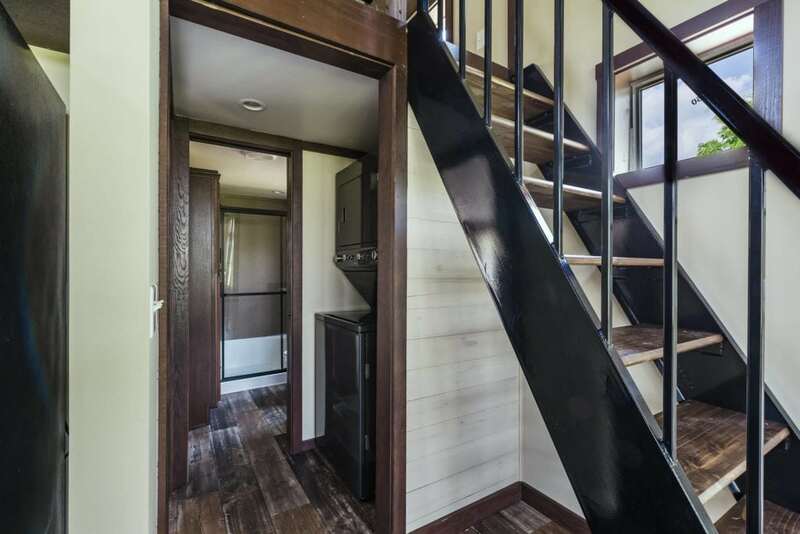 We’d never stayed in a tiny home before, so it was a new experience for us. We had a wonderful time at the lake and would definitely come back again. I stayed in a tiny home here and was definitely pleased. Not only was it affordable, but I was close to the pool, the lake and a fishing dock. I wasn’t expecting to get all that I did for such a great price. I’m already planning another trip back here. The tiny home I stayed in was absolutely beautiful! The level of comfort it provided was amazing, and I loved being so close to the lake. What a wonderful place to stay! My wife and I drove our RV down to the lake with the kids and reserved a lot in the Waterside community. 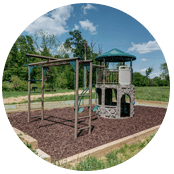 Our kids loved getting to run around on the playground and jump in the pool, and my wife and I loved having easy access to the lake. Start planning your next vacation to Blue Ridge, Georgia. Find the tiny home or RV spot that is best for your next getaway! 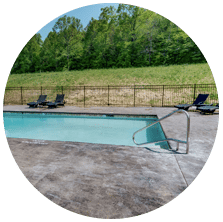 Enjoy an outdoor pool, hot tub, playground and more. 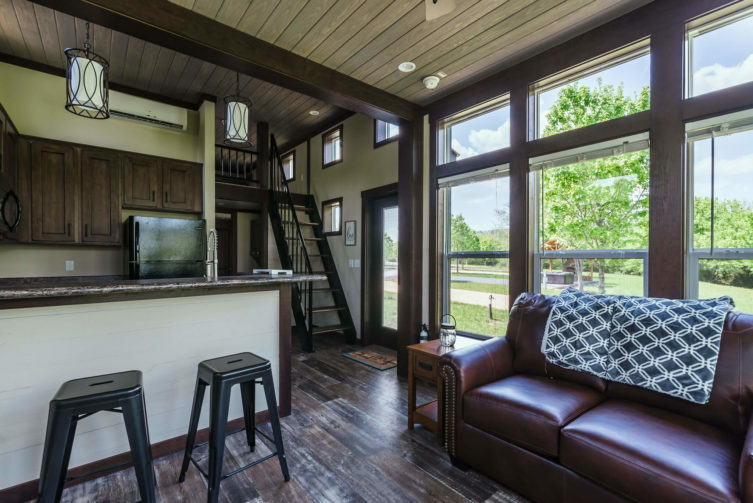 Park your RV or stay in a beautiful tiny home, all for an affordable price. Stay on Lake Blue Ridge, surrounded by the Chattahoochee National Forest. 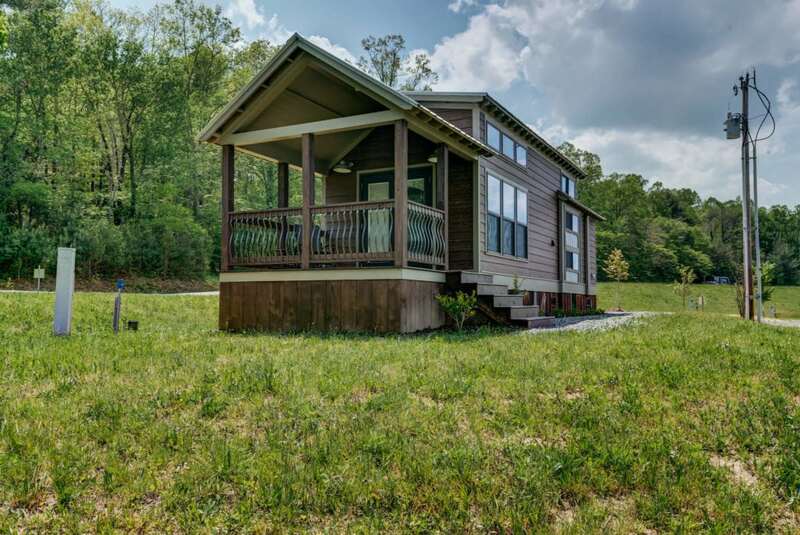 Enjoy access to a fishing dock & stocked lake, kayak racks & more. 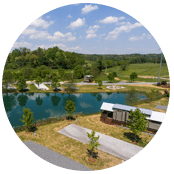 Waterside at Blue Ridge is a tiny home and RV community that has everything you need for a relaxing getaway in Blue Ridge, Georgia. © 2019, Waterside at Blue Ridge.